It seems that we are in a golden age of musical biopics; we have seen the Queen and Freddie Mercury sensation, 'Bohemian Rhapsody', which blew up box offices in 2018, we await the release of 'Rocketman' and wild story of Elton John's life, and now projects have been announced to bring the one and only Elvis Presley to the big screen. However, this time the it comes with a twist: instead of focusing on the life of the King of Rock and Roll, the film will explore the life of his manager. Baz Luhrmann, the legendary director 'Moulin Rouge' will be directing this biopic and Tom Hanks in currently in negotiations to star as the rockstar's manager, Tom Parker. Craig Pearse and Luhrmann will develop the script together and plan to find an unknown actor to play the role of Presley himself. 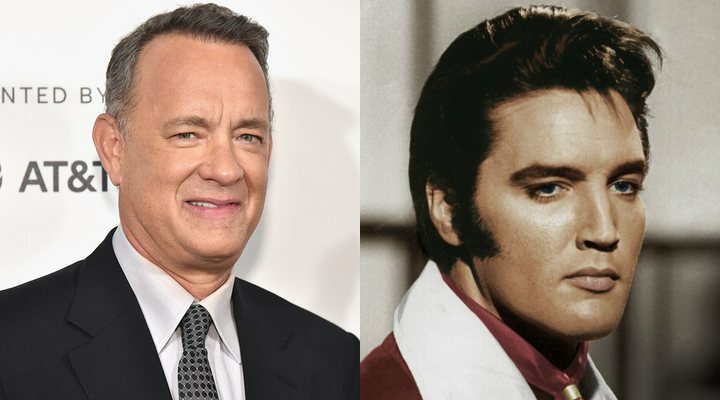 The film is still untitled and has no official budget, but even so, Hanks has signed an agreement to star as Parker, the man who many people consider to be the reason behind Presley's success. This will not be the first time that Hanks has taken upon the role of a real person; he has already done so in 'Apollo 13', 'The Post', 'Sully', and 'Captain Phillips', just to name a few. This new biopic will be added to the two-time Oscar winning actor's long list of upcoming projects, which include 'Greyhound', 'A Beautiful Day in the Neighbourhood', 'Bios', and possibly even Joe Wright's 'In the Garden of Beasts'. The actor will also be returning to one of his most iconic roles as the voice of Woody in 'Toy Story 4', Pixar's controversial upcoming sequel to the animated saga which began back in 1995. The Australian director won over the hearts of a generation with 'Moulin Rouge', starring Ewan McGregor and Nicole Kidman, as well as directing the equally iconic 'Romeo + Juliet' with Leonardo DiCaprio and Claire Danes. After these success came the less popular 'Australia' and 'The Great Gatsby', and Luhrmann even created a musical series for Netflix, 'The Get Down', which ended up being cancelled. Perhaps this musical biopic will be the ultimate comeback for the director, who will be working with some of the most legendary songs of all time.